All sectors in Desplomilandia are facing north or west and are subsequently in shade all day or until late afternoon respectively. And here is shade all year around. Our finca is located in front of the Guadalhorce lake with land up to the rock walls of the "La Boda" sector. Right outside our land there are another 2 sectors and just up a track road the rest of the areas are located near a parking platform. Tyvärr, inte ens på svenska. 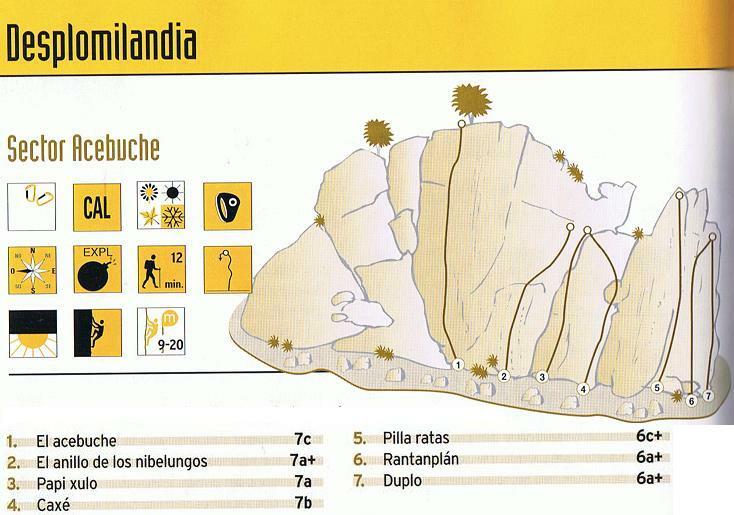 Welcome to Desplomilandia - one of the best rock climbing areas in Andalusia - near the famous and by now crowded El Chorro. 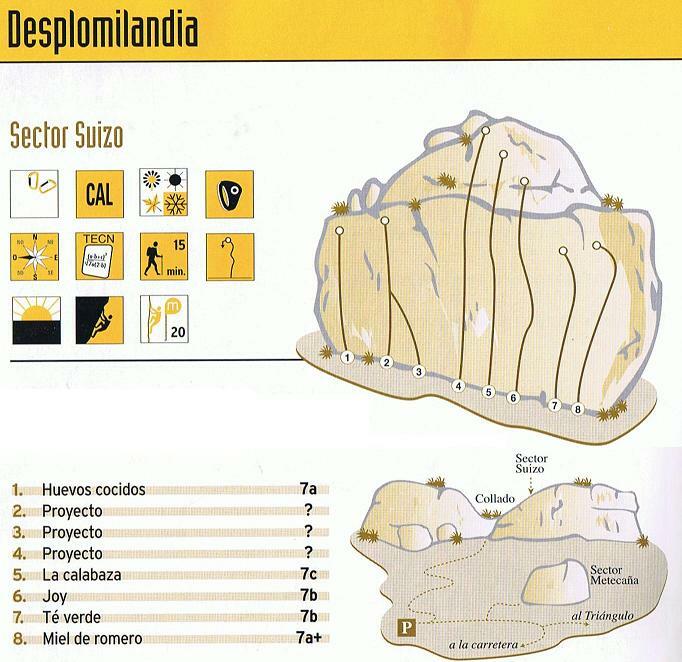 Desplomilandia consists of 8 sectors and with the nearby "Pozo de la Mona" area of totally 161 routes. 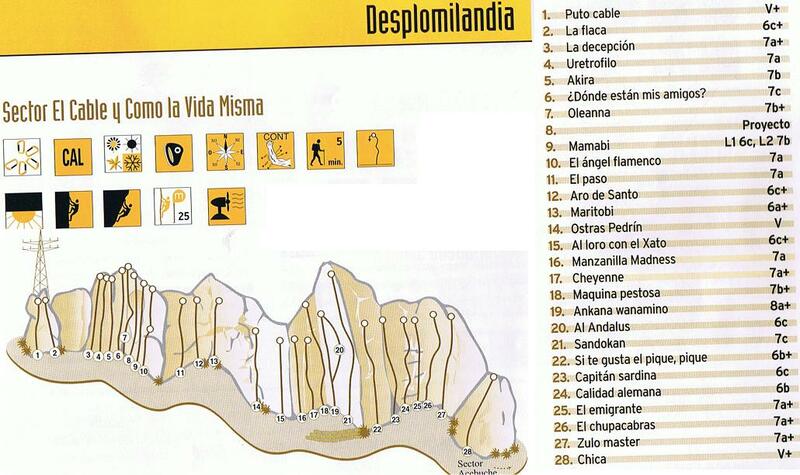 Our finca is located centrally for climbing inside the Desplomlandia area. 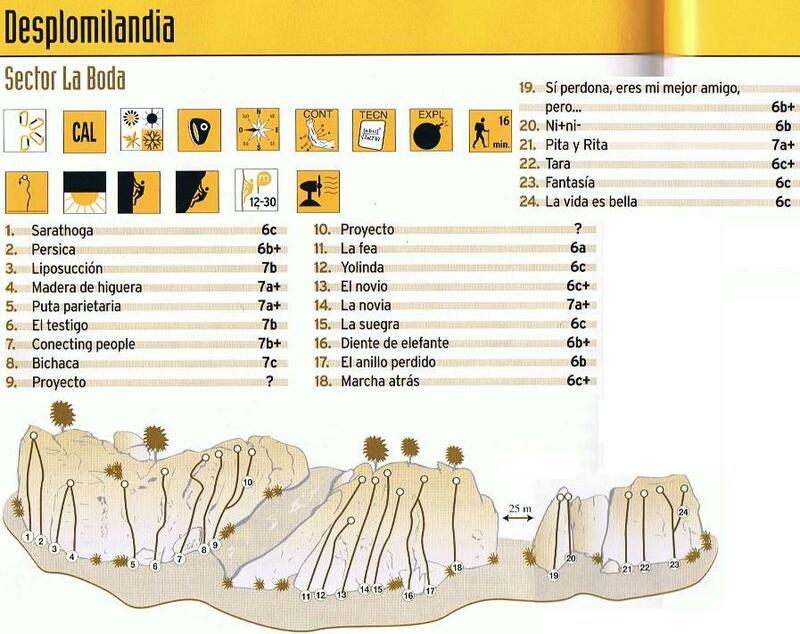 The "La Boda" sector. On our own land. 18 routes from category 6a to 7c. 12-30 m high. The "Buena Sombra" sector. 200 m from our finca. 34 routes from category 6a to 8a. 35 m high. The "Acebuche" sector. 300 m from our finca. 7 routes from category 6a+ to 7c. 9-20 m high. 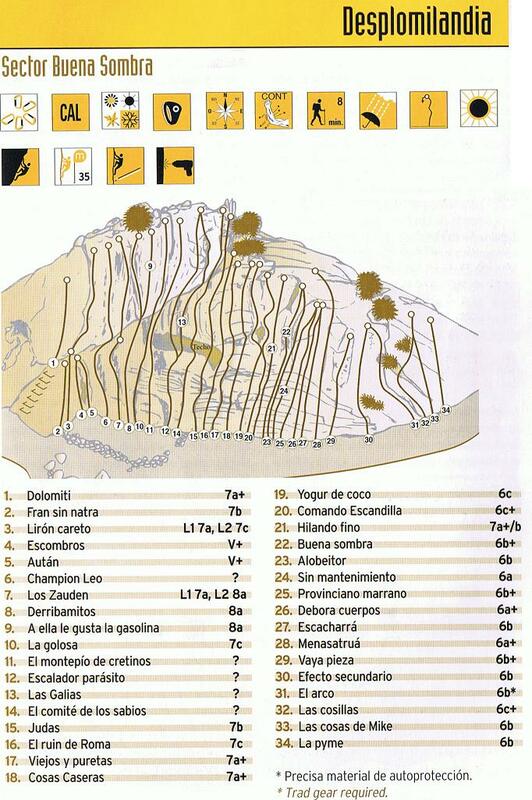 The "El Cable" sector. 500 m up a track road. 28 routes from category 6a+ to 7c. 25 m high. The "Triángulo" sector. 500 m up a track road. 15 routes from category 6b+ to 8a+. 20 m high. 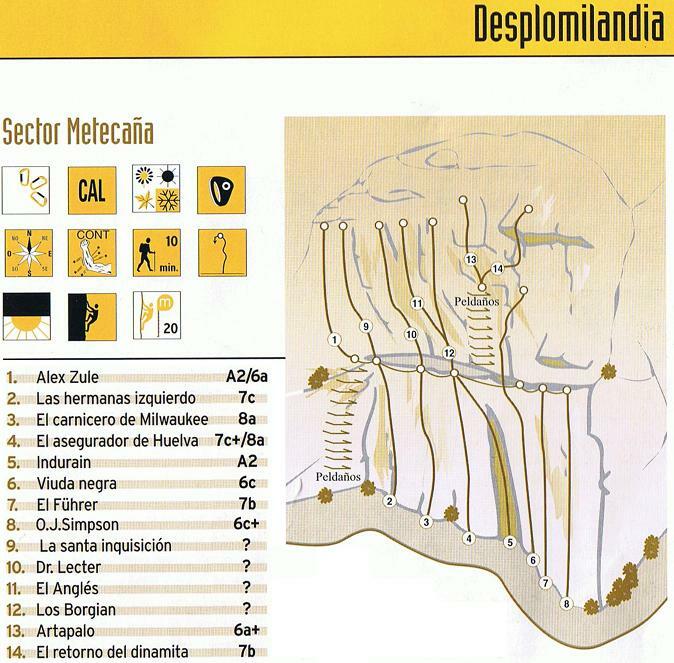 The "Metecaña" sector. 800 m up a track road. 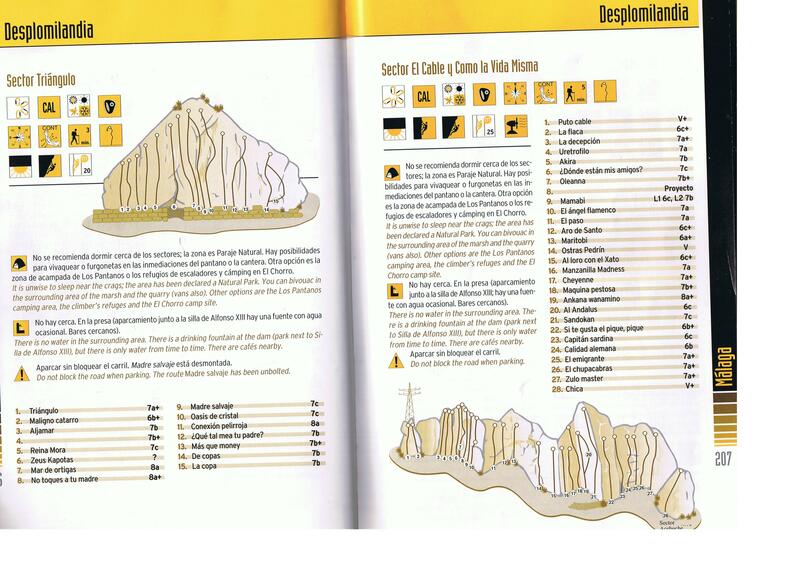 14 routes from category 6a to 7c+/8a. 20 m high. The "Suizo" sector. 900 m up a track road. 8 routes from category 7a to 7c. 20 m high. Klättring i klättringssektorerna i klättringsområdet Desplomilandia och El Chorro, Andalusien. Semesterlägenheter framför klipporna och klättringssektorerna i Desplomilandia - och bara 10 minuter från obegränsade möjligheter i klättrarparadiset El Chorro. desplomilandia el chorro klättra klättrarområdet klättring bergsklättring utrustning övernattning självhushåll. Desplomilandias 8 klättrarsektorer erbjuder medeltunga och tunga kategorier samt massor av skugga. Klättring i El Chorro och Desplomilandia, Andalusien.